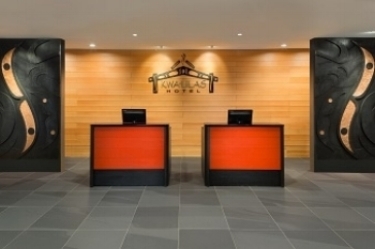 Testimonials — Current Millwork Ltd.
KPL James Architects were the architects for the recently completed the University Centre Food Services Expansion and Renovation project for the University of Victoria for which Current Millwork was the millwork subcontractor. The millwork for the project was a major component of the work involving a complex custom design for each of ten separate food service outlets. Current Millwork’s work was exceptional throughout the project from shop drawings through installation to the final minor on site adjustments that arise on most projects. They were enthusiastic and helpful. The end result is a project which we are very proud to have been involved with and, most importantly, our Client is extremely pleased. — J. Brian Lord, Principal - KPL James Architecture Inc.
WINNER - CURRENT MILLWORK (2012) LTD.
We are honored to be the Winner of the WorksafeBC Safety Innovation Award in 2017. The award is presented for “Recognizing innovative programs, policies, tools or projects that assist in reducing workplace injuries!